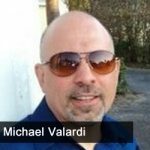 Gary Pinkerton talks with former IRS enforcement officer Michael Valvardi about the state of security in the US. Recorded shortly after the Parkland shooting, Michael gives his idea for helping first responders and protecting schools in a way that he believes will end school shootings. The two also discuss how the US responded to 9/11 and what needs to change in our country today to ensure we prevent any more terrorist attacks coming in to our country.